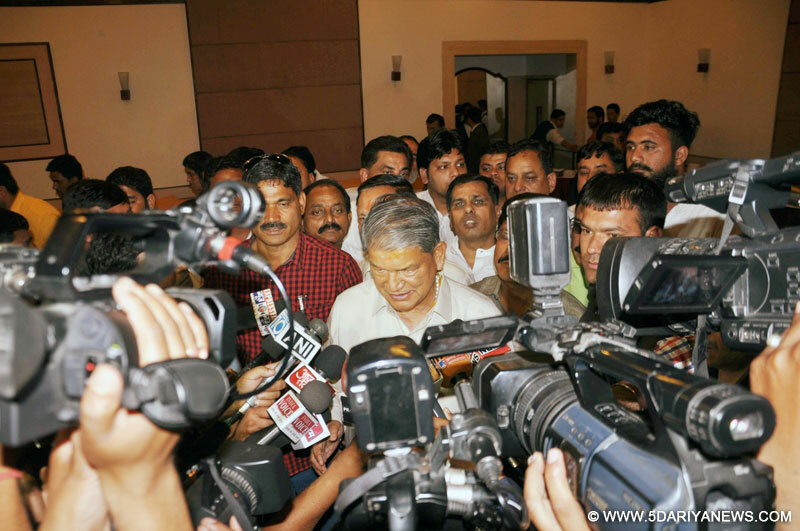 Uttarakhand Chief Minister Harish Rawat addresses a press conference in Dehradun on April 22, 2016. Former Uttarakhand chief minister Harish Rawat has said the Uttarakhand High Court's Thursday order setting aside the President's Rule in his state was "a big decision for federal politics". "The (high court) decision has made history. Judiciary has given a big decision for federal politics. It has proved it's the custodian of the common man," Rawat said in an interview to ETV in Dehradun on Thursday soon after the high court verdict.He said the high court order had also strengthened cooperative federalism. The Congress leader said he was confident of proving majority on the assembly floor on April 29, as directed by the high court. Since the people had given the Congress a mandate in the state, he should be allowed to run the state government, Rawat said in the interview The Supreme Court on Friday ordered that the high court verdict be kept in abeyance till April 27.The Congress leader said the state had been adversely impacted through "horse trading", imposition of President's Rule and deviation from the path of development. "I will appeal to the opposition (BJP) that I have got the mandate. So, they should let me work. They can support me for the state's development. We had given a developmental roadmap for the state," he said. Rawat also sought the Centre's cooperation in efforts to boost Uttarakhand's progress. He said he was working on plans to increase resources, impart skills to the youth and create job opportunities. On allegations regarding horse-trading on the basis of a sting operation, Rawat said it was "fake" and an alibi to impose the President's Rule in the state. "I am ready to face any investigation," he said. The Congress leader said the fight was not his alone but that of the Uttarakhand people. "I am confident we will prove our majority on April 29," he said.